Best and effective product to your life, if you buy these products it encourages rural artisans art as these are handcrafted. Best Home utility product as a Gift Item for any occasion or Party. 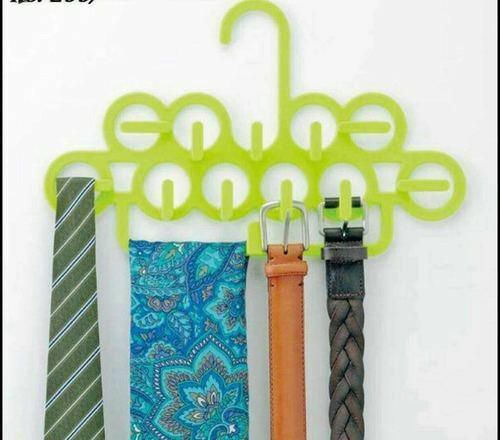 Multi Purpose Hanger Hanges all your Accessories stuff like, tie, belt, scarf, etc..
Sonal Communication was established on the year of 1995. We are a leading Distributor, Wholesaler, Supplier of Chili Powder, Cumin Powders, Spice Powder, etc. These products are processed by grinding fine quality of dry chili and filtered by finest machinery by our vendors end. To avail the demand of our customers we are offering different quality in this product range. Owing to the rich industrial experience and expertise in this domain, we are instrumental in providing Chili Powder. This Chili Powder is checked under numerous parameters set by the industry for quality. Our product can add unique and excellent flavor to the dishes. To ensure its purity, freshness and nutrient, our chili powder is properly preserved in suitable environment.